The Hupman Brothers, have created a musical legacy that includes a deep connection to Blues and a respect for an intuitive sense of following the music to where it takes them. As they weave lyrics, melody and harmony into a seamless expression of the wonder, love, and hurt we all share, Ryan’s and Scott’s stories become our stories. Their accomplishments, as a duo, include various nominations and awards and, as well as putting out their own albums, Scott and Ryan both play and earn producer, recording engineer and graphic artist credits on many other artists’ albums. 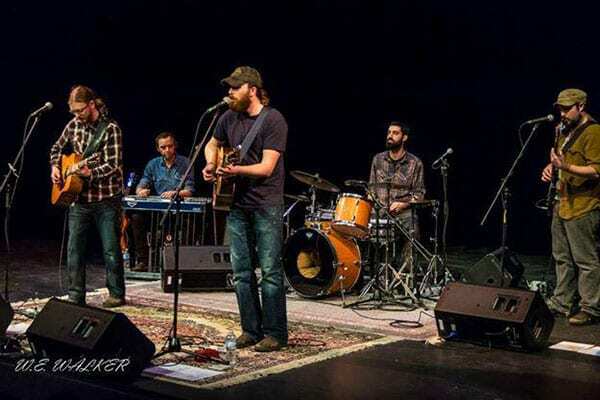 In 2011, Adam Bazinet and Chris Robison began playing music with Ryan and Scott and this new collaboration has yielded a couple more albums and two more nominations. Whether playing as a duo, with their band, or with any number of other musicians they’ve connected with over the years, Ryan and Scott’s sharing of music is about connection. They are a class act. We at Deep Roots are always delighted to welcome them to our stages.